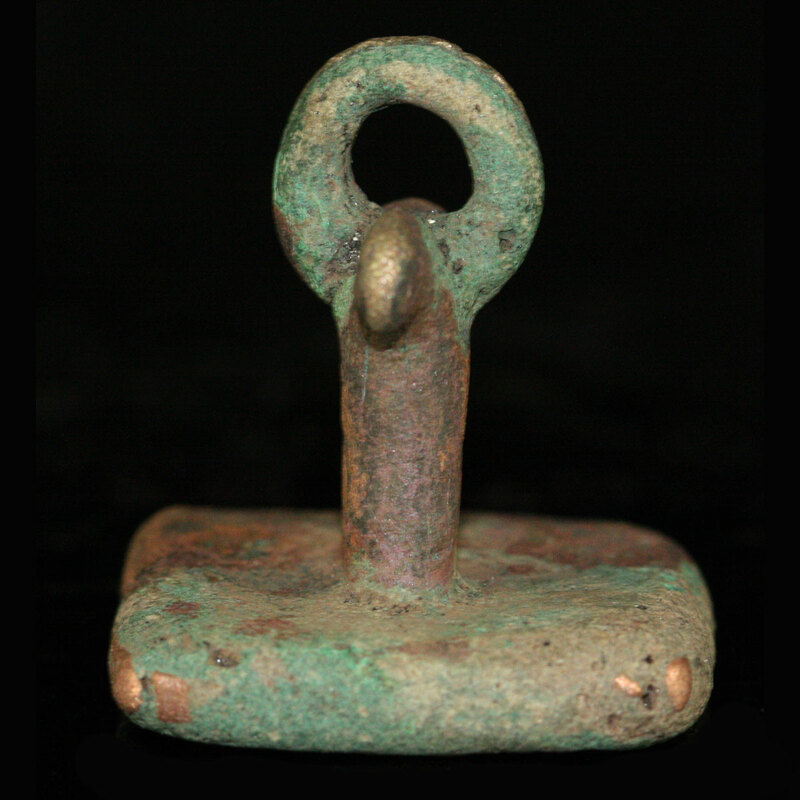 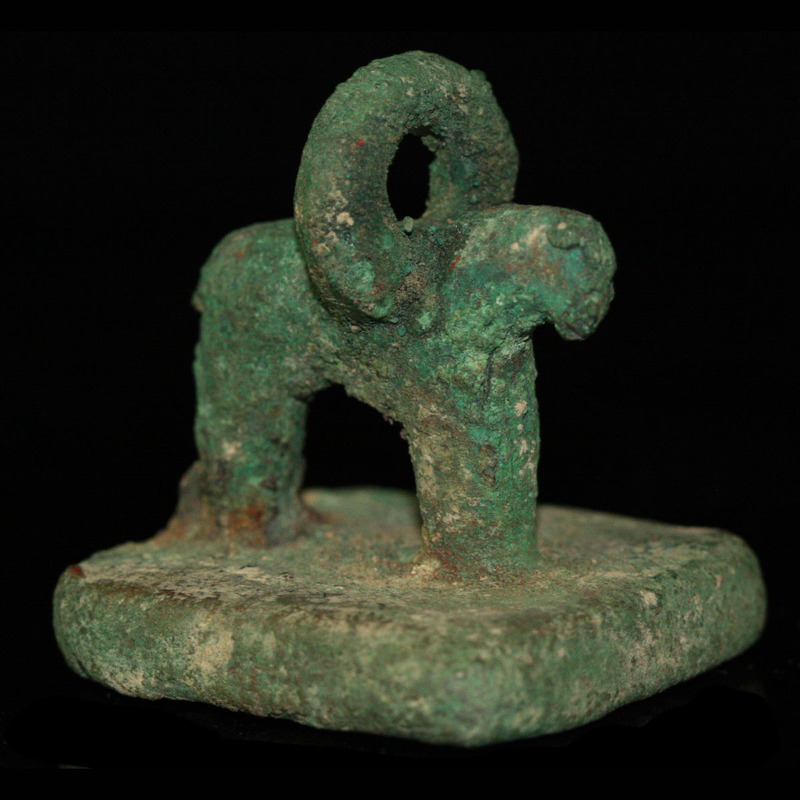 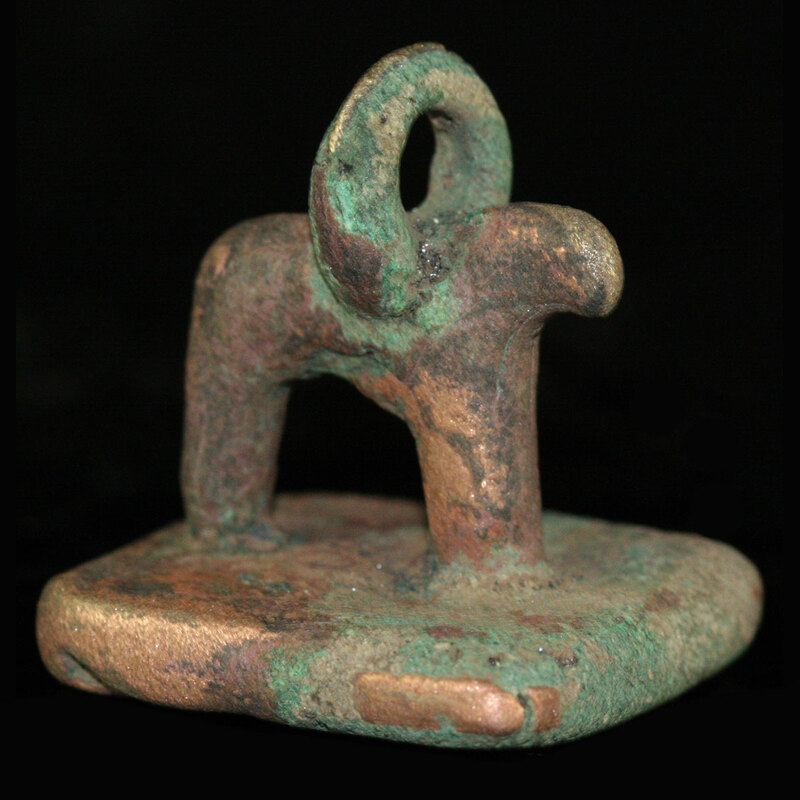 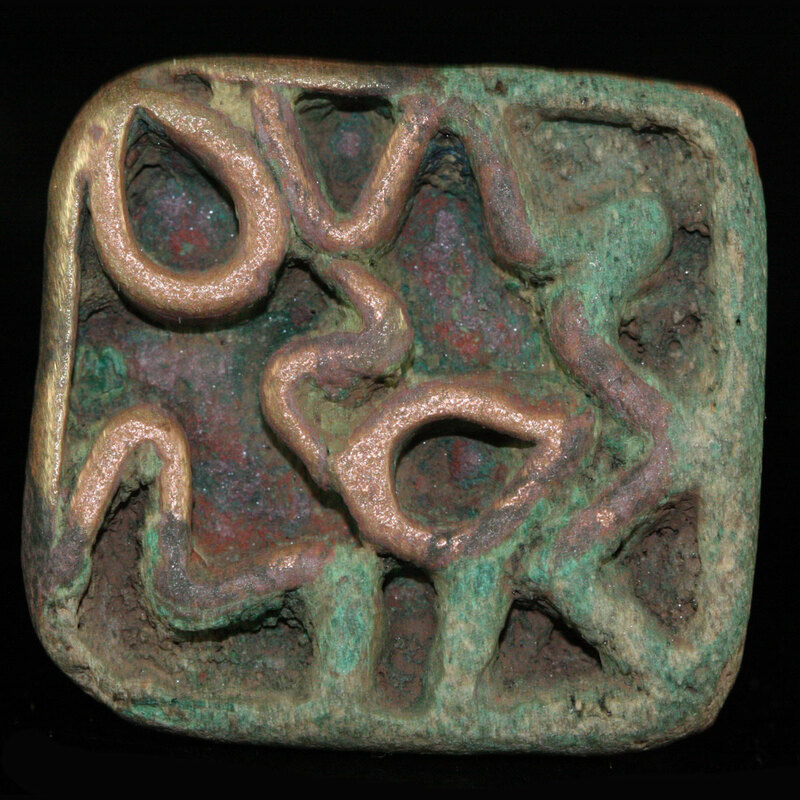 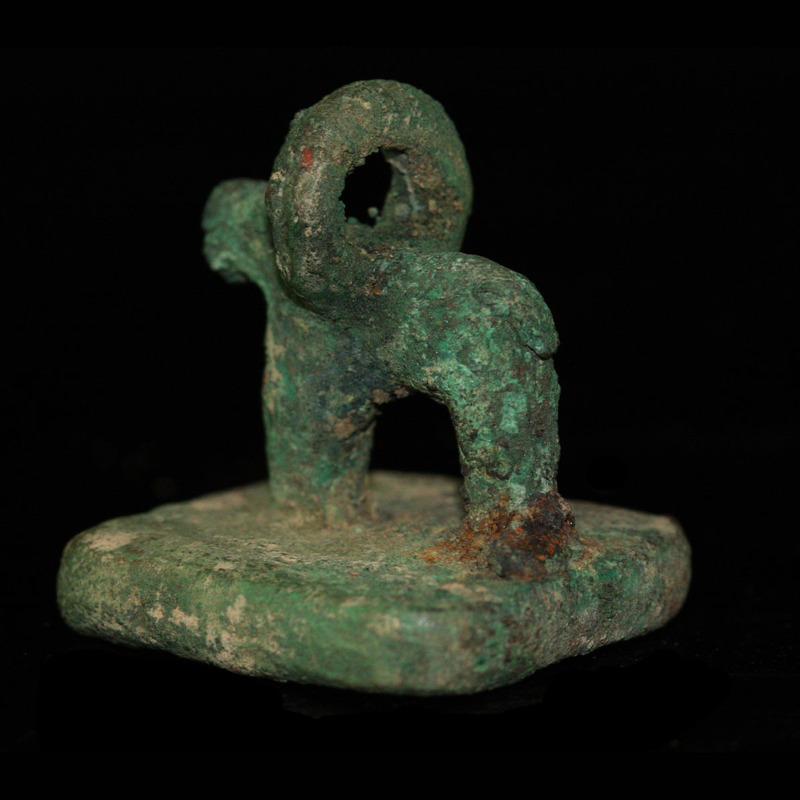 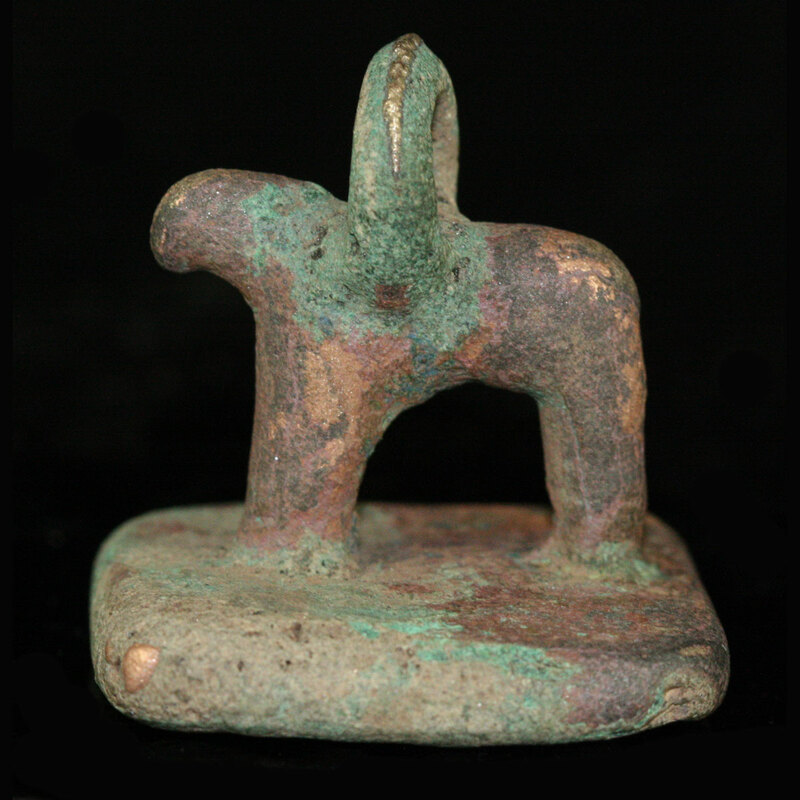 A Bactrian bronze stamp seal; high relief imprint in the form of symbols, the handle in the form of a quadruped, with suspension loop intact. 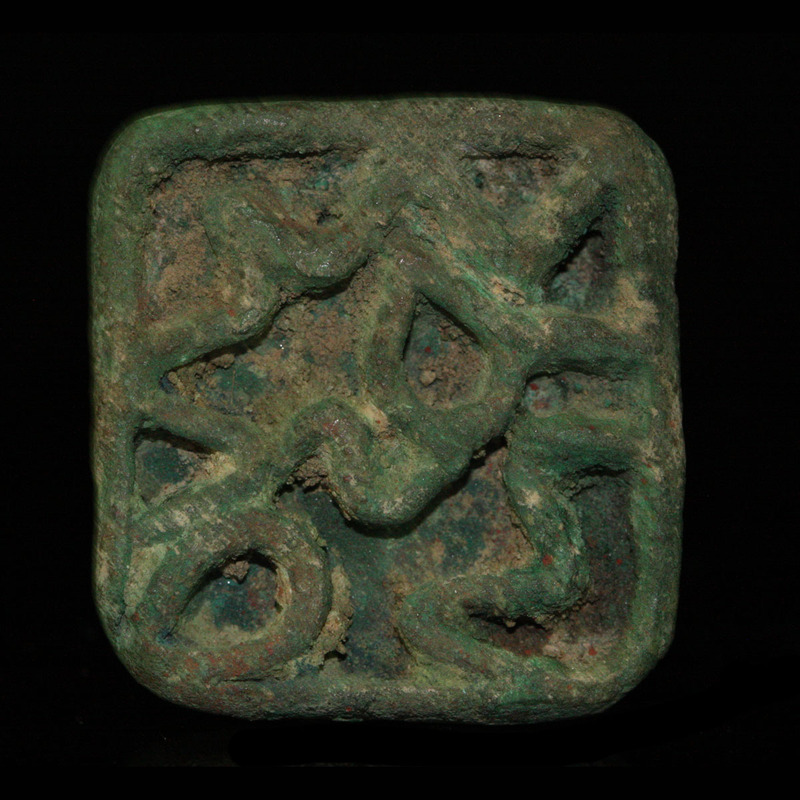 The last images showing the piece once cleaned by a conservator. 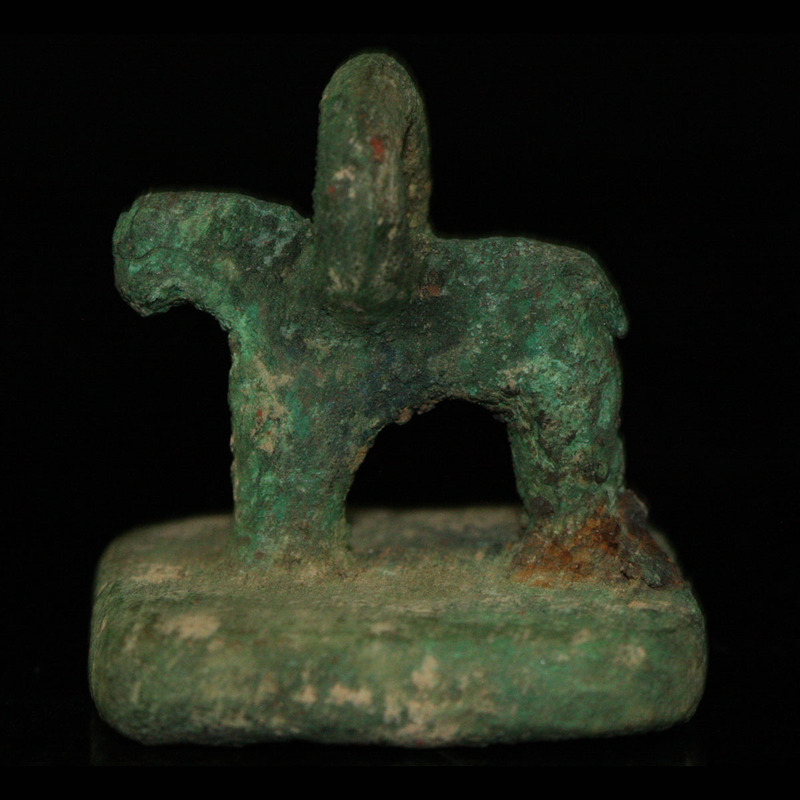 Heavily oxidised verdigris patina, in good condition.